Whose multiculturalism, and for which reasons? 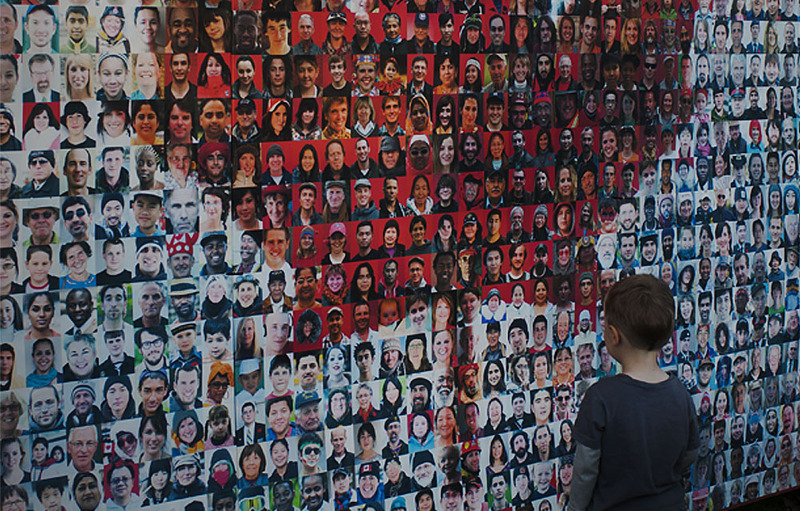 Is multiculturalism … an institutionalized celebration of cultural diversity and difference? Or should it be seen more critically as a form of commodified eclecticism, or as a smokescreen that hides and protects the values of the dominant culture? … And what does the term really mean, if anything, to creative writers? In this chapter, we will explore how “official multiculturalism”—that is, multiculturalism as a federal government policy in Canada introduced in 1971—has influenced the writing and publishing of Canadian literature. While you have likely already thought about multiculturalism as part of the social context within which Canadian literature circulates, or about which Canadian authors write, official multiculturalism has also supported the production of Canadian literature itself. This chapter will introduce you to the history of the Writing and Publications Program (WPP), through which Canada’s federal multiculturalism directorate provided funding for literature from the 1970s-1990s. The WPP is a key context for understanding how the government has actively shaped Canada’s literary culture with its policy of multiculturalism. In turn, we will explore how scholars and writers have responded to the WPP, debating its impact and raising critical concerns about how the government uses funding to manage culture and ethnicity. The history of the WPP, like that of official multiculturalism itself, has been contested; it raises questions like those posed by Graham Huggan in the quotation above: What did the program mean to Canadian writers? Whose interests did it serve? Did it help develop a culturally diverse literature, or commodify literature to project Canadian multiculturalism? We will think through these questions as we critically engage with the WPP as a key part of official multiculturalism’s history in the “political economy” of producing Canadian literature—a term Jeff Derksen uses to describe the relationship between “the nation, its funding agencies, and the marketing of culture” in Canada (x). Canadian Mosaic Wall. Tim Van Horn, 2013, via Wikimedia. “Multiculturalism” is one of the most ubiquitous (even clichéd) words in discussions of Canadian literature, which, like Canada itself, is often described and celebrated as “multicultural.” While these terms sometimes serve simply as loose synonyms for “diversity,” they have a range of specific socio-political meanings in scholarly contexts, so we need to be attentive to how we’re using them. Cultural theorist Stuart Hall makes a useful distinction between “multicultural,” an adjective, and “multiculturalism,” a noun. For Hall, “multicultural” (or “multi-cultural”) describes the characteristics of societies—like Canada’s—where multiple cultural communities live together. “Multiculturalism,” like other “ism” words, denotes substantive action or practice: “the strategies and policies adopted to govern or manage the problems of diversity” within multicultural societies (209). When scholars discuss “official multiculturalism,” as we will in this chapter, they are usually referring to these policies and programs a government uses to put its theory of multiculturalism into practice. In Canada, multiculturalism is not only an idea (or ideal), but also a substantive public policy within a legal framework that has shaped national culture for decades, including Canadian literature. It has existed “officially” since 1971, when then-Prime Minister Pierre Elliott Trudeau first introduced it as a federal policy and established a directorate (or subdivision within the government) responsible for multiculturalism’s administration. It later became enshrined in the Canadian Constitution and Charter of Rights and Freedoms (1982), and in 1988 the policy became law with the Multiculturalism Act. Throughout this “official” history, a range of government programs have been implemented to stimulate and promote the policy; several have focused on cultivating the arts and creative culture, including by financially supporting literary authors and publishers. So, as a context for studying Canadian literature, official multiculturalism’s significance is material—meaning structural and economic—as well as ideological. As the CanLit Guides chapter on literary nationalism explains, multiculturalism policy emerged in response to calls for recognition from Canadians whose heritage was “other” than the English/French majority or the Indigenous peoples in Canada—what the government termed “ethnocultural” or “ethnic minority” groups. As Trudeau declared in 1971, while Canada was to remain officially bilingual, “no particular culture is more ‘official’ than another,” and “[e]very ethnic group has the right to preserve and develop its own culture and values” (Canada 50). With the policy, the government assumed a new, active role in promoting cultural pluralism, and supported the production of creative culture—the performing, visual, and literary arts—as a way of doing this. The WPP emerged from this context in 1977 as one of several arts-based funding programs. 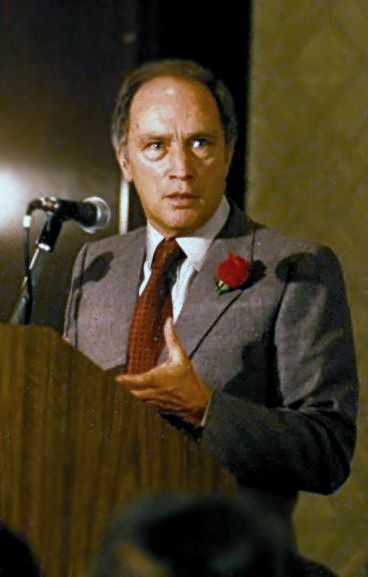 Pierre Trudeau speaking at a fundraising meeting for the Liberal Party at the Queen Elizabeth Hotel in Montréal, Québec, 1980. Chiloa, CC BY-SA 3.0, via Wikimedia. In the following section, we will look at how the WPP operated as a separate “multicultural” grant system for ethnic minority literature that ran parallel to “mainstream” arts funding institutions. The Canadian government has, since 1957, been one of the most important patrons of Canadian literature through The Canada Council for the Arts, but the WPP represented a significantly more hands-on form of cultural management. The Canada Council is an “arm’s-length” institution, meaning it is financed by the government but more or less free to set its own policies. WPP funding, however, was administered directly by the government through its multiculturalism directorate. So as we analyze the history of the WPP, keep in mind that it was not only a parallel funding program designed to support ethnic minority writers specifically and advance equity (fairer access to resources) within literary publishing, but also a direct government intervention into Canadian literary production to support and promote national multiculturalism. Defining Multiculturalism. What does “multiculturalism” mean to you, specifically? Do you tend to think about it conceptually—perhaps as a symbolic ideal of cultural diversity, or a way of masking the realities of racism—or practically, as a shifting history of policies and programs with material effects? As you read, consider how multiculturalism operates at the intersection of both levels in Canada. Multicultural Literature. According to the policy, “multiculturalism” reflects the ethnic diversity of all Canadians—there is no “official” culture. But think about how the term “multicultural” gets used in discussions of Canadian literature. Who is a “multicultural” author? 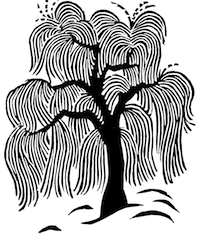 What is “multicultural” literature? Is there a distinction made between “Canadian” and “multicultural” literature? If so, based on what? Funding Literature. For most authors, writing literature is not an especially lucrative trade; many books you encounter in Canadian literature classes would not have been published without support from government grants. What do you currently know about the sources of funding available to authors and publishers? Where can you find that information? How does funding influence what gets published, read, and studied? Affirmative Funding. Given that not all authors have equal access to resources and opportunities for publishing in Canada, is it important to have funding streams that strategically target support for particular groups of writers? What are the advantages and disadvantages of separate, “parallel” funding structures? And what is the government’s responsibility in these dynamics of diversity, equity, and action? Canada. Minister of State, Multiculturalism. “Federal Government’s Response to Book IV of the Report of the Royal Commission on Bilingualism and Biculturalism.” Multiculturalism and the Government of Canada. Ottawa: Supply and Services, 1978. 47-54. Print. Derksen, Jeff. Foreword. “Producing a Globalized Canadian Literature and Its Communities.” Producing Canadian Literature: Authors Speak on the Literary Marketplace. Ed. Kit Dobson and Smaro Kamboureli. Waterloo: Wilfrid Laurier UP, 2013. vii-x. Print. Hall, Stuart. “Conclusion: The Multi-cultural Question.” Un/settled Multiculturalisms: Diasporas, Entanglements, “Transruptions.” Ed. Barnor Hesse. London: Zed, 2000. 209-41. Print. Huggan, Graham, and Winfried Siemerling. “Canadian Writers’ Perspectives on the Multiculturalism Debate.” Canadian Literature 164 (2000): 82-111. Print.